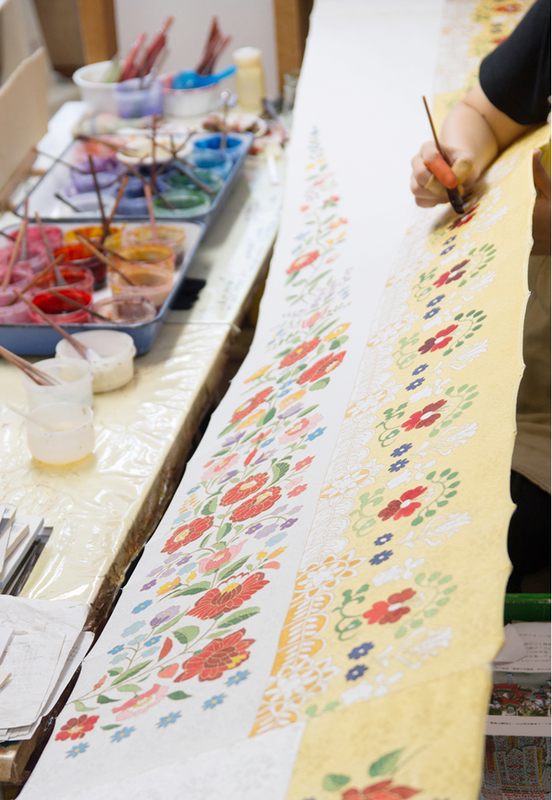 Tegaki-yuzen, or hand-painted yuzen, is one of numerous Kyoto yuzen dyeing techniques which consists of applying colours with a brush on white fabric. 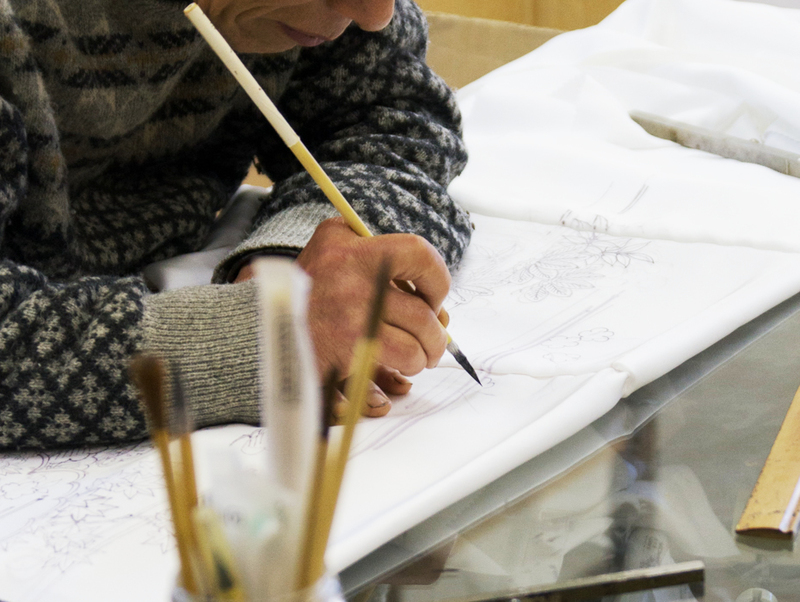 Due to its exceptional craftsmanship, people sometimes praise it as a wearable art. 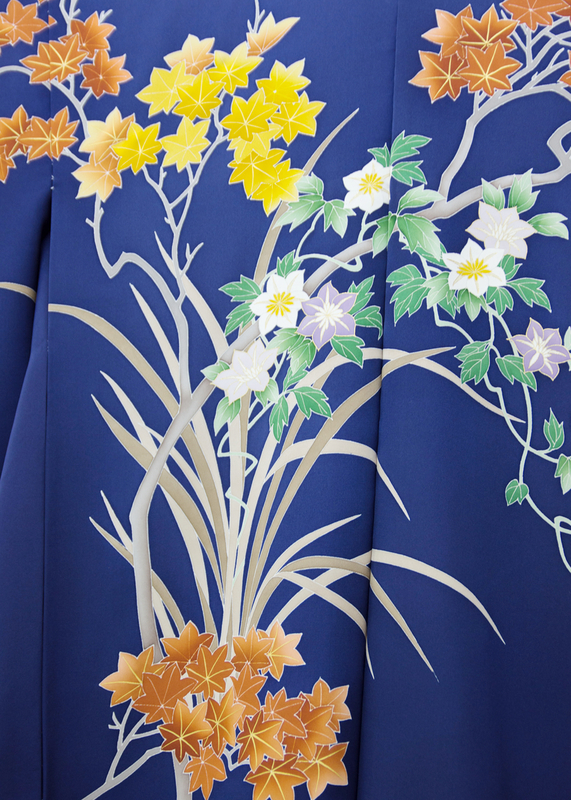 The entire kimono making process is separated into 20 different stages, and each stage is carried out by a different craftsman. 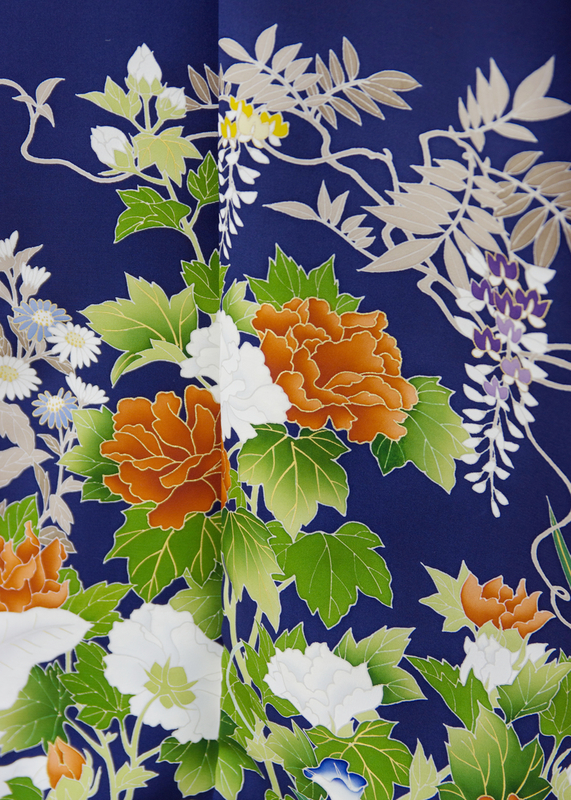 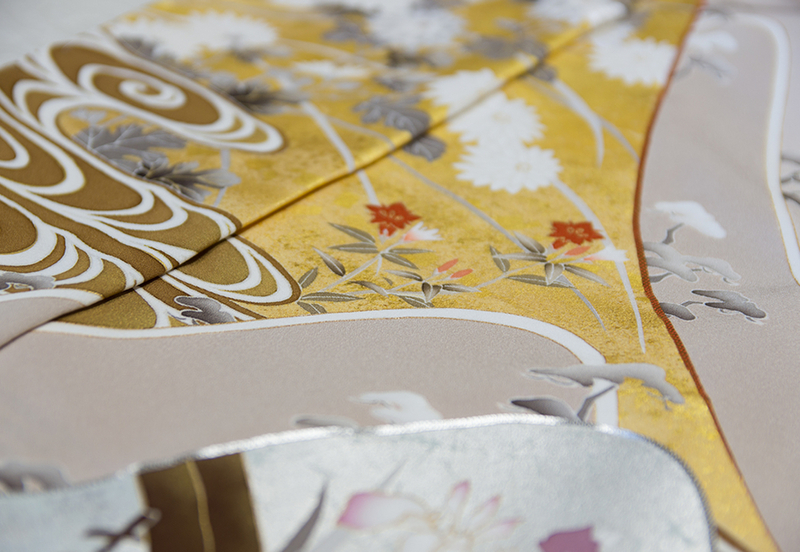 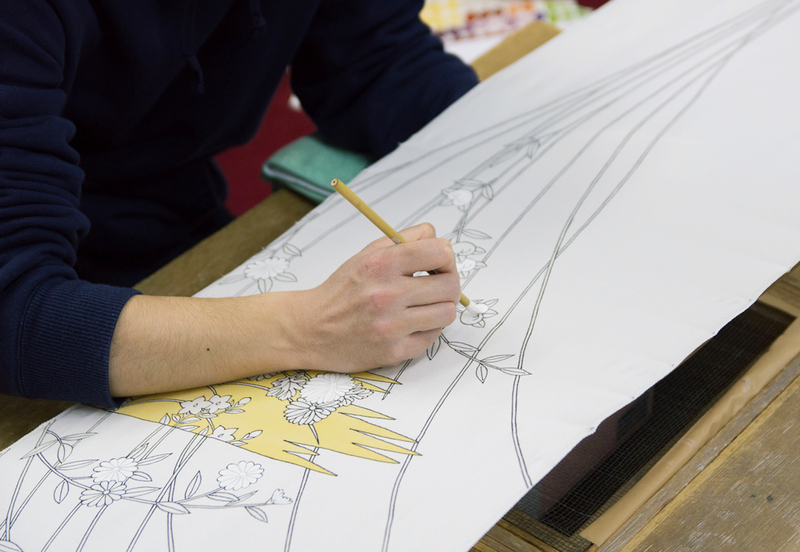 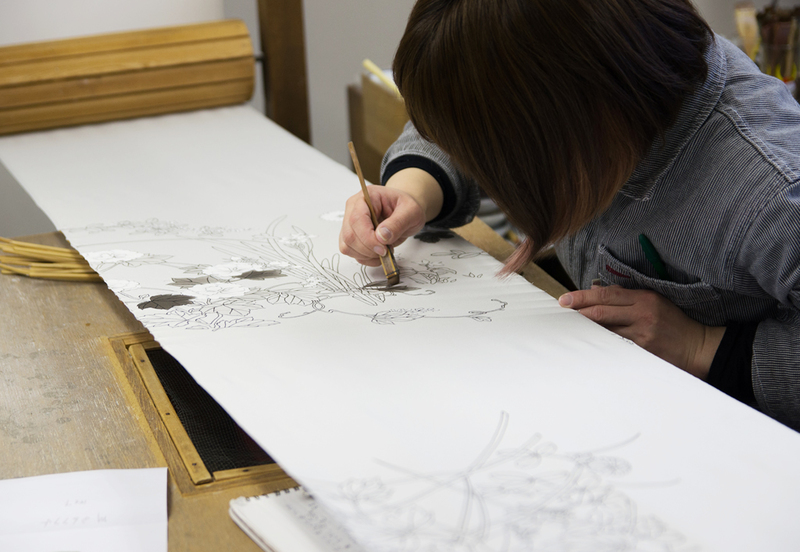 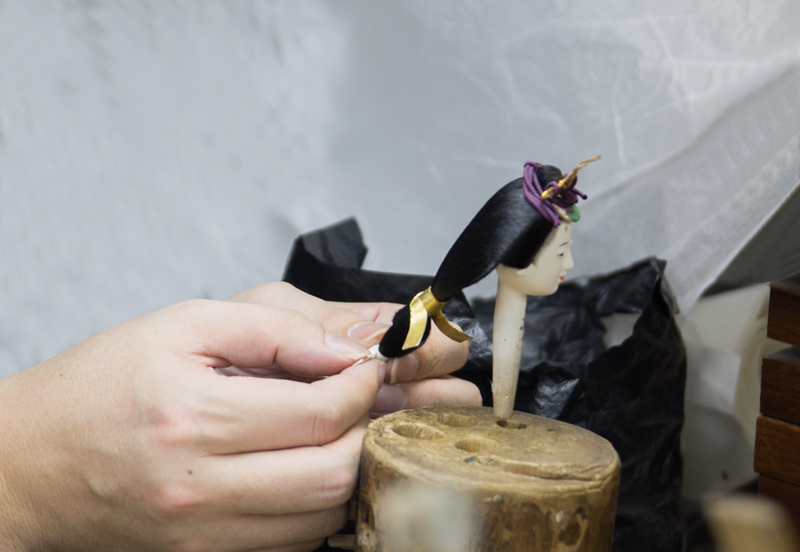 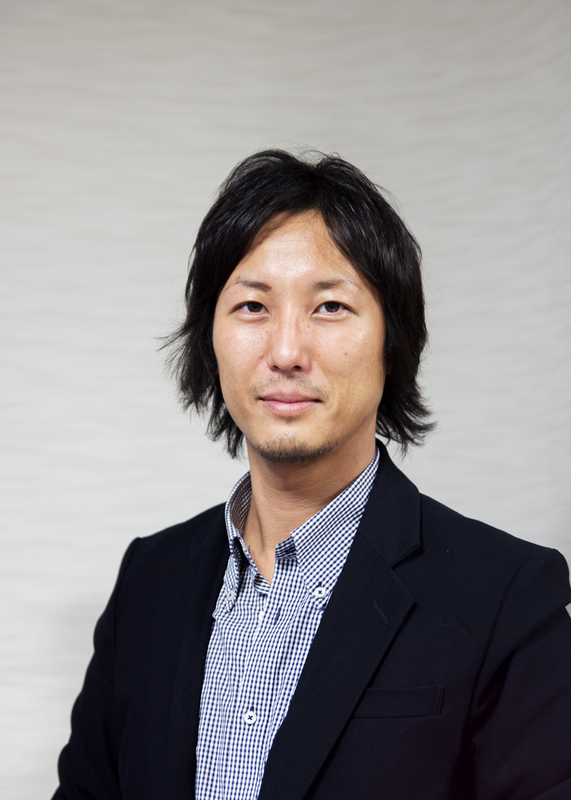 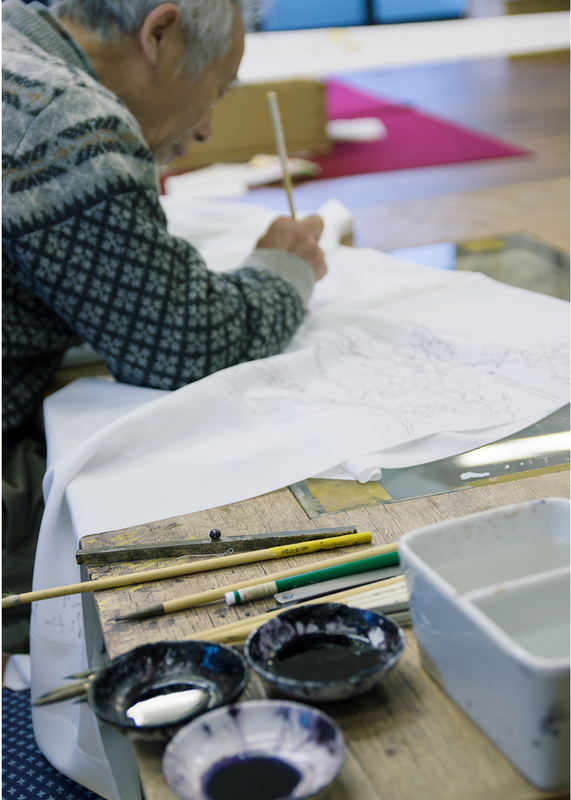 Sensho Ichikawa mainly plays the role of a supervisor who organizes all the elaborate processes involved in kimono creation, from the pattern and colour design to the last finishing touch. 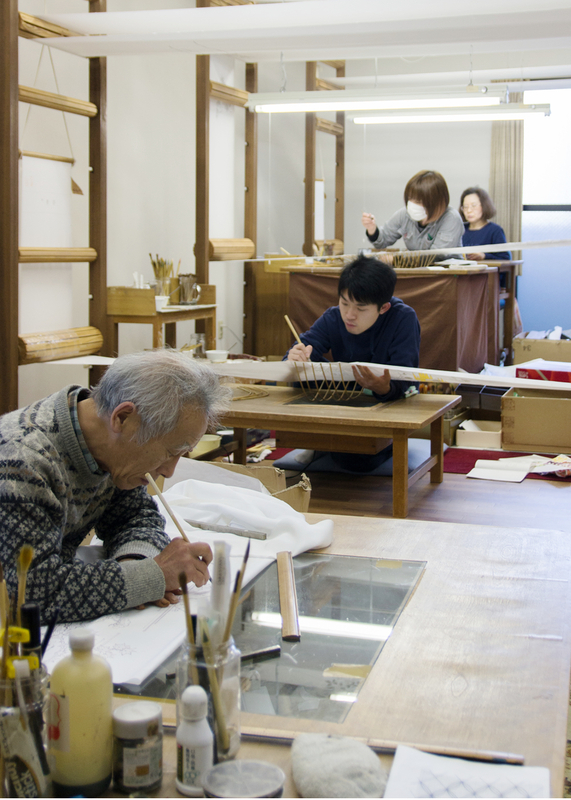 The company is committed to hand down its expertise to future generations. 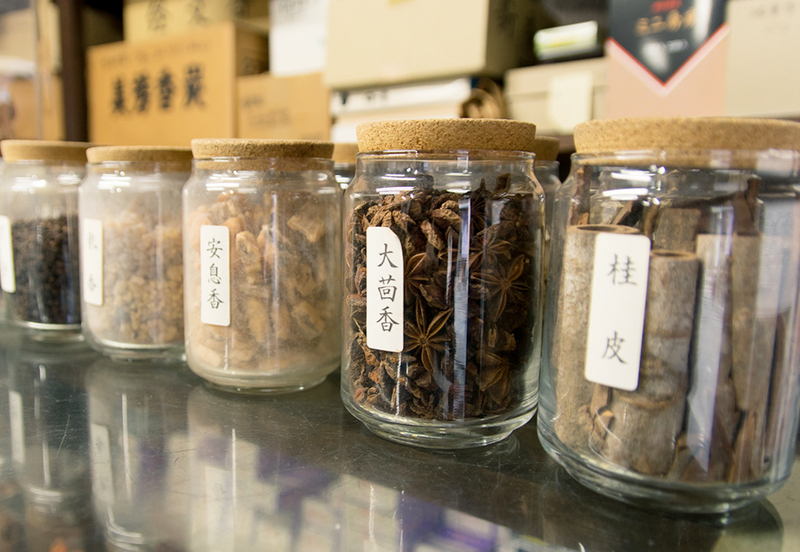 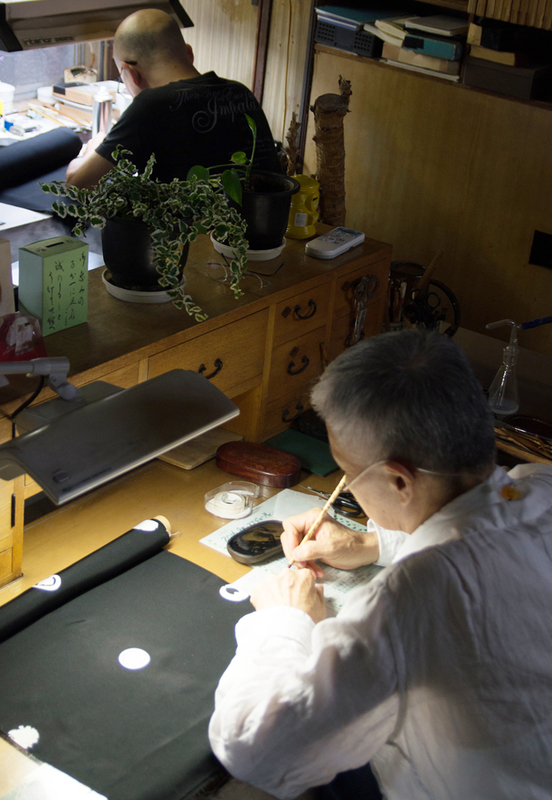 You won't want to miss the chance to watch a demonstration of yuzen dyeing and learn more about this craft in the atelier of Sensho Ichikawa, the kimono maker mastering all 20 stages of kimono making process!